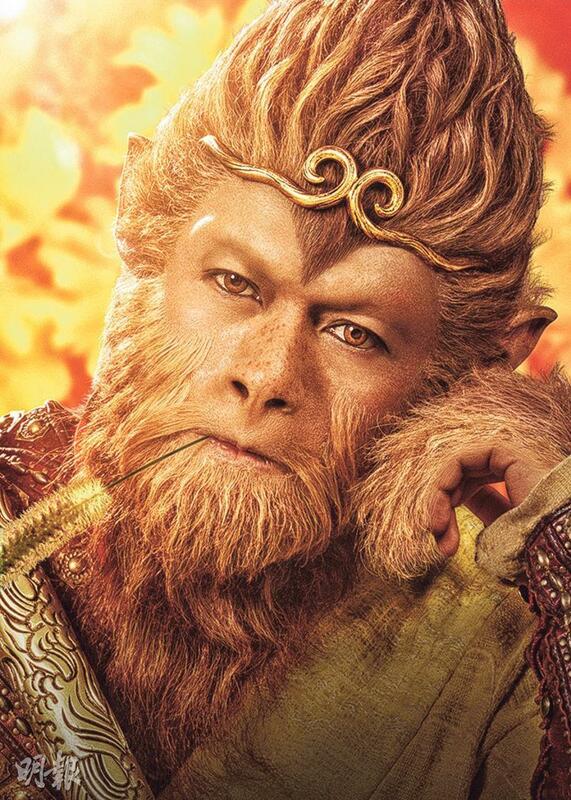 The Filmko film THE MONKEY KING 3 (SAI YAU GEI NUI YI GOK) will open at the Lunar New Year. 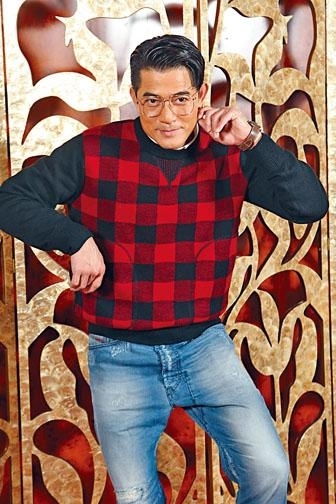 Aaron Kwok Fu Sing, Law Chung Him and director Soi Cheang Pou Soi promoted the film. Sing Sing this time played a comedic Sun Wukong, which he thought he was the most suitable choice for. Because few actors knew how to fight and had a comedic sense, he was well worth the price. However playing Sun Wukong was a chore. Sing Sing revealed when he saw the makeup artist again he wanted to turn around immediately and quit. Sing Sing revealed that this installment cost 500 million yuan to produce. Cheang Pou Soi admitted that this time was very expensive, did the cast salary take up a large percentage? Cheang Pou Soi said that it definitely was different from the ones before. Sing Sing also said that the most important was for the film to be well made. Speaking of THE MONKEY KING and THE MONKEY KING 2, they made over 1 billion RMB at the Mainland box office. Were they confident? Sing Sing joked, "This time we will be happy with 3 billion!" Sing Sing after THE MONKEY KING 2 again played Sun Wukong in THE MONKEY KING 3. He admitted that the character was very different. "Actually I am a comedy actor. Ah Soi this time asked me to play a comedic Sun Wukong. In addition I am well worth the money, as few actors know how to fight and have a comedic sense. I am the most suitable choice." Sing Sing said that this time Sun Wukong also changed in its appearance. The director wanted Sun Wukong this time to look more monkey than human, so on the first day of costume fitting they spent 12 hours. Afterward everyone was very pleased. Playing the same character again, Sing Sing said, "Playing comedy with this look is hard. Last time the character was heaver so originally I said I won't play it again. However I was getting itchy, I had to torture myself to be pleased. Actually it has been two years, I have already forgotten the pain of the performance. After I signed the contract on the first day on the set, I saw the makeup artist again, I immediately wanted to turn around and quit because I was truly scared off. I even called Siu Mei (his manager) and said that I quit. She replied and said that I couldn't." Sing Sing said that finding someone else would not be hard, but the director was very understanding. He knew that playing the character would be very "frustrating". In addition the company told him that it would give him time to adjust. Thus he challenged himself again. He said, "If I don't do it, who would!" Would he keep playing Sun Wukong in THE MONKEY KING film series? 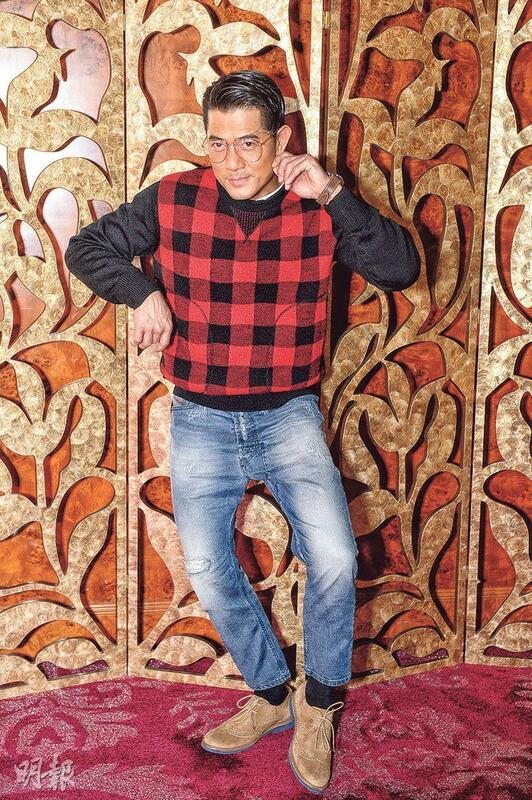 Sing Sing said without hesitation, "I would play the Tang Monk, it would be real comfortable!" The pain of playing Sun Wukong was gluing the hair all over the body. Cheang Pou Soi understood Sing Sing's pain. "Everyone can try to pu a piece of wet toilet paper on your face for 12 hours, but when hair was glued on him no liquid was directly stuck to his skin. His skin could not breath so it was like being bitten by ants. Thus I would understand how Sing Sing felt. I could only adjust with the production time." Sing Sing said that at the time he had to a tube of anti itch ointment with him everyday. In addition the head band was designed to remain tight on his head so it would not become loose during stunts. As soon as he inflated with heat he would start to have a headache and suffer. Cheang Pou Soi also felt bad for the Sand Monk Law Chung Him because he had to wear a tight muscle suit. Everyday the suit cut off his circulation. His fingers even turned purple. Him Jai recalled, "I pricked my fingers and they still responded so I wasn't too worried. Actually the toughest was unable to go 'number 2'. I couldn't for four months and I ended up with stomach pain, so I had to properly control my diet. Putting on and taking off the suit took several hours!" Cheang Pou Soi added, "When he moved, the muscle suit would move just like skin. When tightened even the hands would be swollen. When the special effect makeup artist saw this situation would stop the production and make Ah Him remove his suit for his own safety." Sing Sing just became a father. Would he be a little more careful with his film work from now on? Sing Sing said, "As a father, I feel the importance of family even more. Not only my child, but my family, my wife I have to take care. I know my wife has it very tough. I wouldn't know about before, but with a child my wife had it even tougher. As the head of the family when I am at work I have to work professionally and set an example for my next generation. I instead feel I have to focus on work more. Dangerous stunts? That I won't change, mentally I would treat my job even better!"